Back in 2014, I took a look at Sweden’s remarkable rate of recovery for its trash: only 1% of the materials Swedes throw away end up in a landfill. How does the country’s trash handler, Swedish Waste Management, achieve this? Well, they burn a lot of trash for energy and heat. While the company argues for the efficiency of this practice (which I have no reason to doubt), we’d also want to know that technology for scrubbing various toxins are in place. Otherwise, this could be a case of using one environmental evil to cover for another. 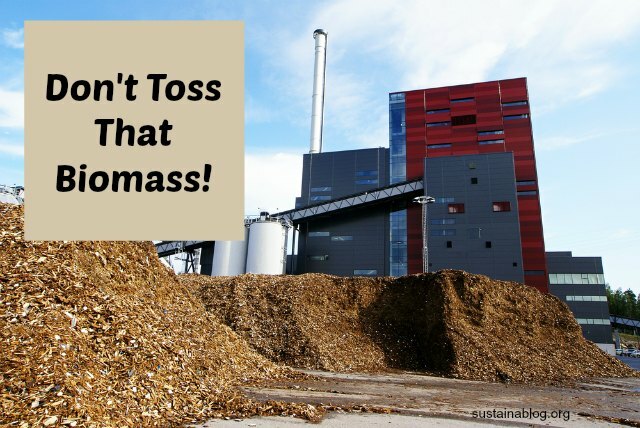 But, what if we didn’t burn all of our trash, but took a look at just recovering biomass: organic materials ranging from cut grass to food waste to sawmill shavings? Rutgers University’s New Jersey Agricultural Experiment Station has been doing this for years, and just released its latest report on the amount of usable biomass the state throws away. According to NJ Spotlight, the state sends over 4 million tons of usable “trash” to its landfills. That’s not only costing it money, but also contributing to over-reliance on fossil fuels, and the subsequent carbon emissions that stem from sources. Reduction of greenhouse gas emissions largely comes down to preventing these materials from rotting and releasing methane. While I’m certain these percentages and amount vary from state to state, the New Jersey study likely gives us some insight into cleaner energy sources we’re wasting across the country. Yes, many landfills capture methane, but that strikes me as a good start – lots of opportunities for recycling our biomass into energy… with the right scrubbing/pollution capture, of course. I’m sure New Jersey’s also not alone in lacking the infrastructure for taking advantage of all of that biomass, too. So, what do you think? Know of good opportunities for recovering these materials that needs further exploration? Share them with us. Next article Is kombucha good for you?